1969. 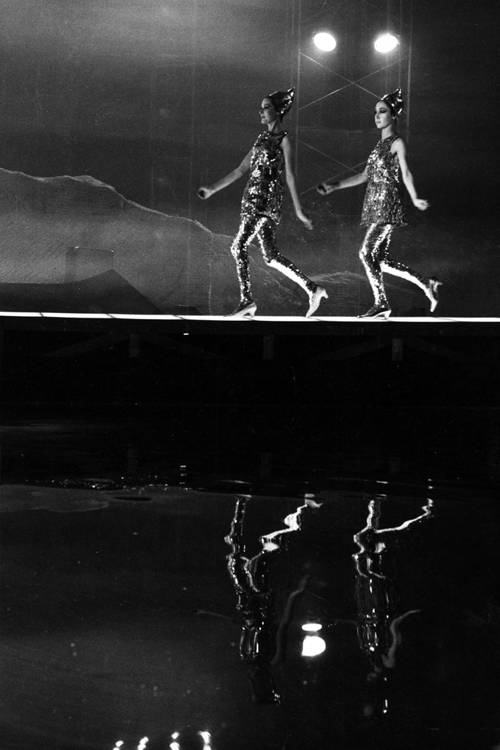 A scene from Fellini’s Satyricon. Photo by Tazio Secchiaroli. Tazio Secchiaroli is generally regarded as the most talented and daring of the paparazzi. 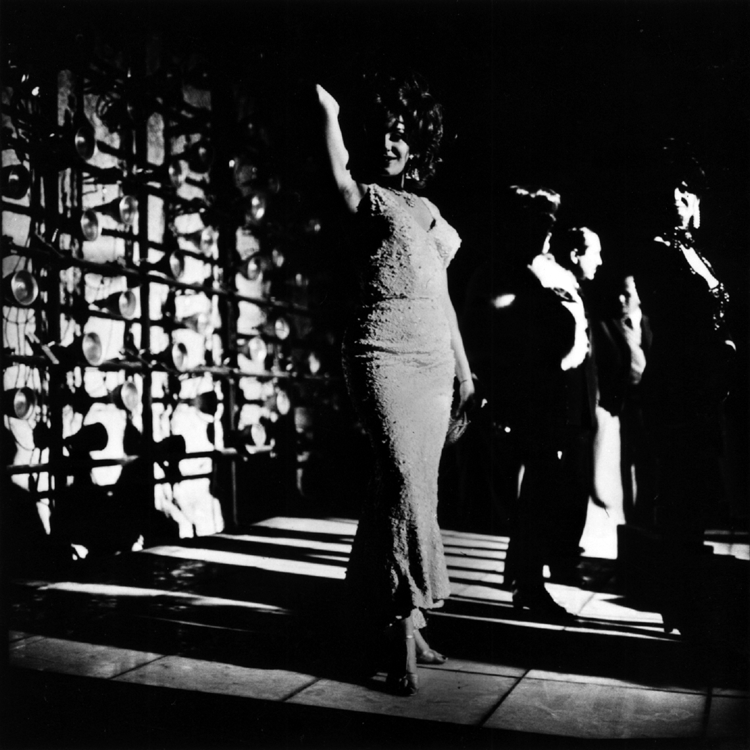 During the 1950s, he played a key role in developing the genre of paparazzi photography. This article touches on his early career and his exploits as a paparazzo, but it’s mainly a showcase for the stunning work he did after that, particularly with Federico Fellini and Sophia Loren. Tazio Secchiaroli is born on 26 November 1925, in Centocelle, a working-class suburb about 10 kilometres from the centre of Rome. As a teenager, his first job is working as a gofer at Cinecittà. But in the final years of World War II the Italian film industry is on its knees. So in 1944, age 19, Tazio Secchiaroli becomes one of the ‘scattini’ (street photographers), patrolling the train station and tourist spots for visitors to Rome and offering to do portrait shots of them. It’s a hand-to-mouth existence, hardly more lucrative than his job at Cinecittà. Fortunately he gets to know Luciano Mellace, a photographer who works for International News Service, an American agency. In 1951, Mellace offers Secchiaroli a chance to join the agency, which the latter seizes with both hands. His new job involves assisting at shoots and helping out in the darkroom. It’s a start. The following year, Tazio Secchiaroli moves on to VEDO, a photo agency. Its founder is an enterprising and unscrupulous photographer called Adolfo Porry-Pastorel. He’s known in the trade for the stunts he pulls to outwit his competitors – for example putting a stickers over the picture lenses of his rivals’ twin-lens cameras. Because the sticker is invisible through the viewfinder, the trick will be discovered only after the event, in the darkroom. 1950. 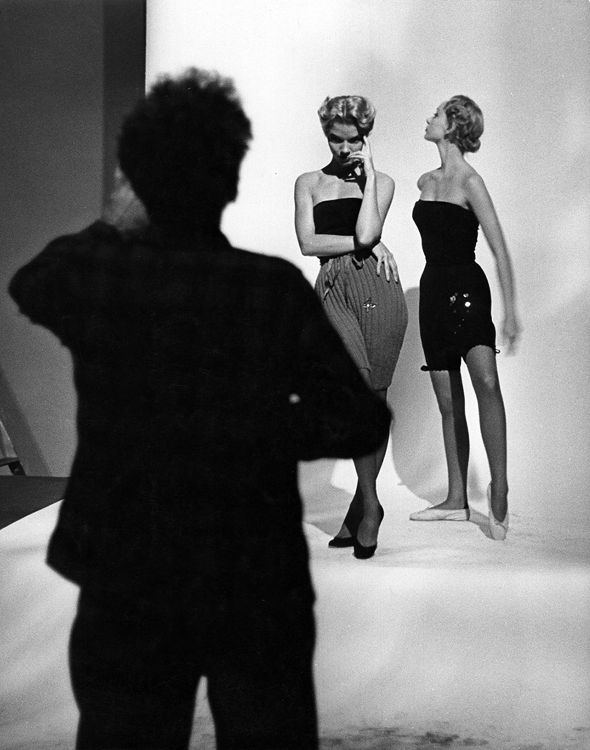 Gjon Mili in the studio with two models. But Tazio Secchiaroli is both ambitious and restless. In 1955, he becomes his own boss, setting up Roma Press Photo agency with Sergio Spinelli, a colleague at VEDO. Spinelli does the marketing and PR, Secchiaroli takes the photos. And what photos they are! His ability to be in the right place at the right time and to grab the most telling shots is covered in the paparazzi – shock horror birth of a monster. Before long, he’s the de facto ringleader of the paparazzi and known as an urban fox – the Volpe di via Veneto. 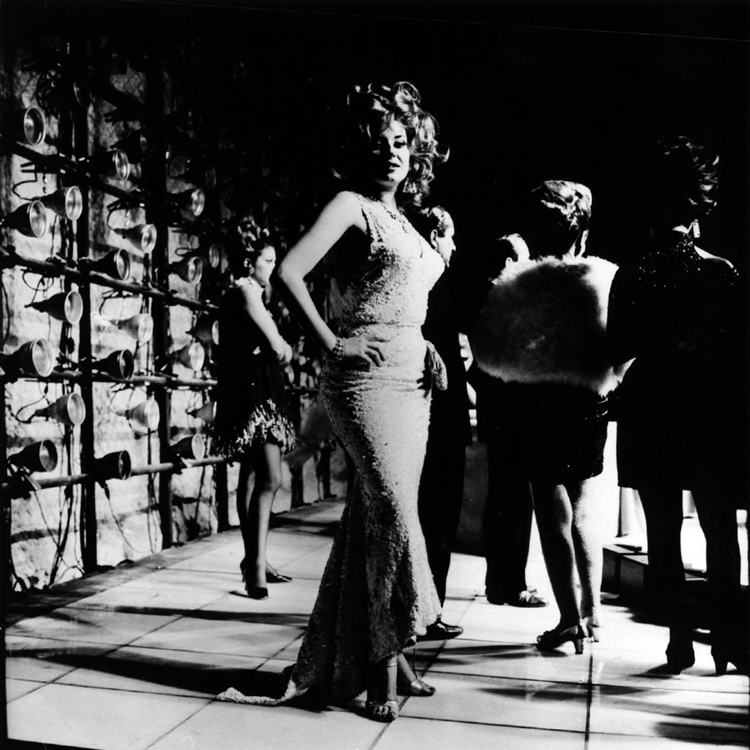 One evening, we were following Ava Gardner and Chiari, who were nightclubbing around Rome. There were four of us: Elio Sorci, myself and our collaborators. We had taken pictures of the two of them going in and out of nightclubs, worthless photographs because there were so many just like them. So, later, as he was parking and she had gone to open the door to the apartment building, I told Sorci to get ready. Then I went up very close to Gardner and set off a flash in her face; she screamed and Chiari immediately rushed me. Sorci promptly started shooting and got some pictures in which it looks as if we were ﬁghting. Based on Tazio Secchiaroli’s reputation as leader of the pack, Federico Fellini recruits him as an advisor for La Dolce Vita. It proves to be a formative experience and a turning point in Secchiaroli’s career. In the early sixties, perhaps recognizing that street photography is a young man’s line of work and that he is not getting any younger, Tazio Secchiaroli transitions from paparazzo to set and portrait photographer. To this end, he persuades Gjon Mili, working in Italy on an assignment for LIFE magazine, to take him on for three months as an unpaid assistant. This is his opportunity to learn about the formal photographic techniques that as a paparazzo have not really been on his agenda – things like composition, lighting and depth of field. 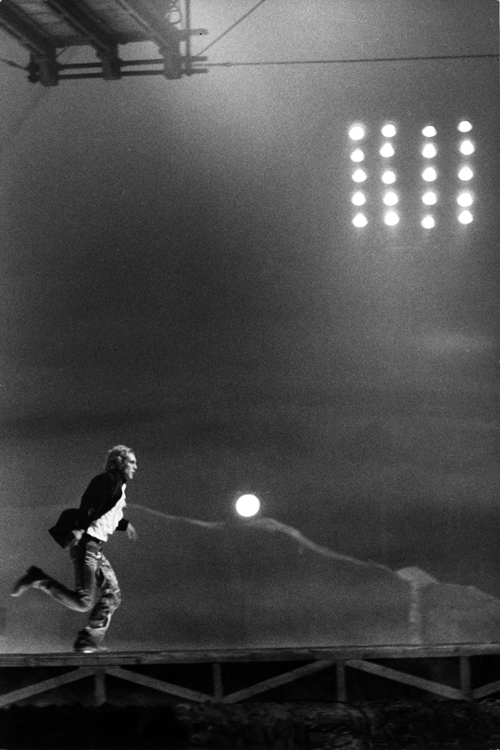 His first assignment as a set photographer is for Federico Fellini’s follow-up to La Dolce Vita – 8½. After that Tazio Secchiaroli works on the sets of all of Fellini’s films except for Juliet of the Spirits and Orchestra Rehearsal. 1968. 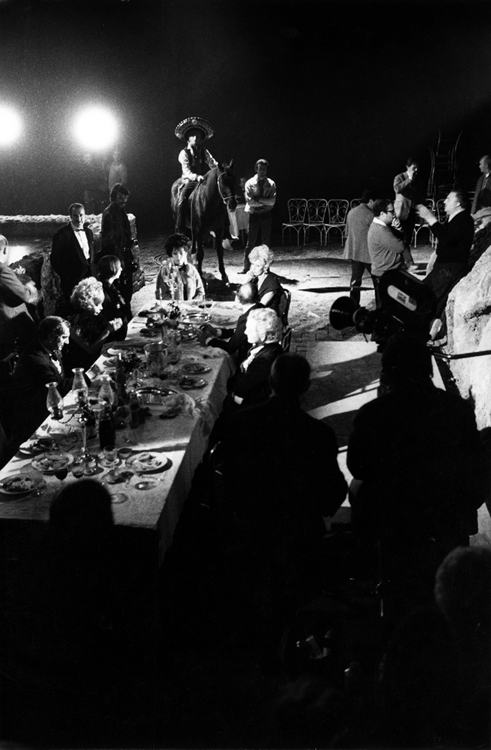 Photo taken on the set of Toby Dammit, based on a short story by Edgar Allan Poe, Federico Fellini's contribution to Spirits of the Dead. Photo by Tazio Secchiaroli. 1968. 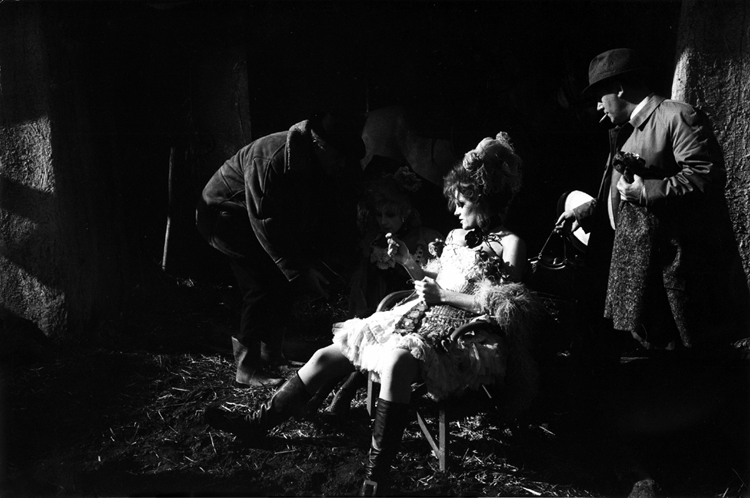 Annie Daniel on the set of Toby Dammit, based on a short story by Edgar Allan Poe, Federico Fellini's contribution to Spirits of the Dead. Photo by Tazio Secchiaroli. 1968. 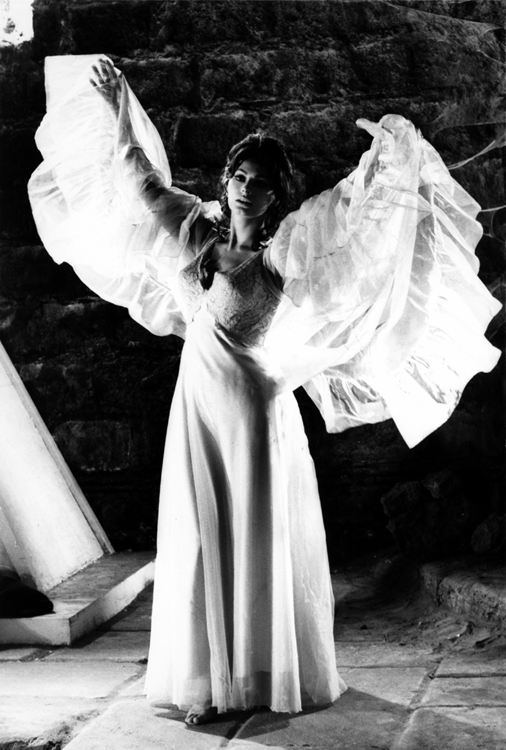 Monica Pardo on the set of Toby Dammit, based on a short story by Edgar Allan Poe, Federico Fellini's contribution to Spirits of the Dead. Photo by Tazio Secchiaroli. 1968. 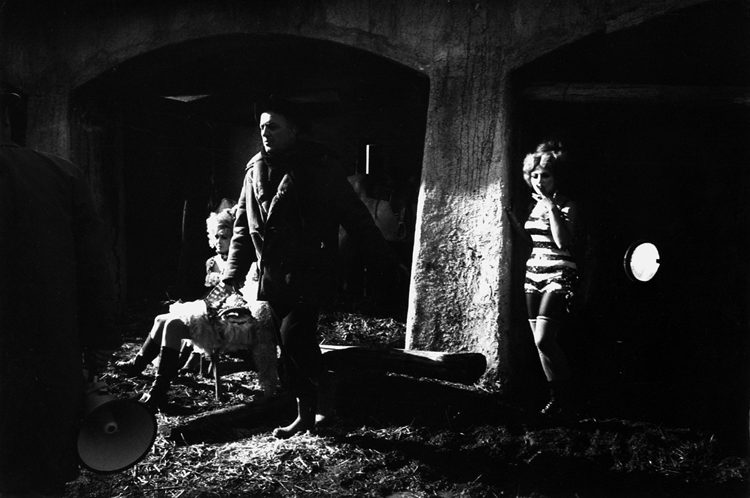 Terence Stamp on the set of Toby Dammit, based on a short story by Edgar Allan Poe, Federico Fellini's contribution to Spirits of the Dead. Photo by Tazio Secchiaroli. 1968. 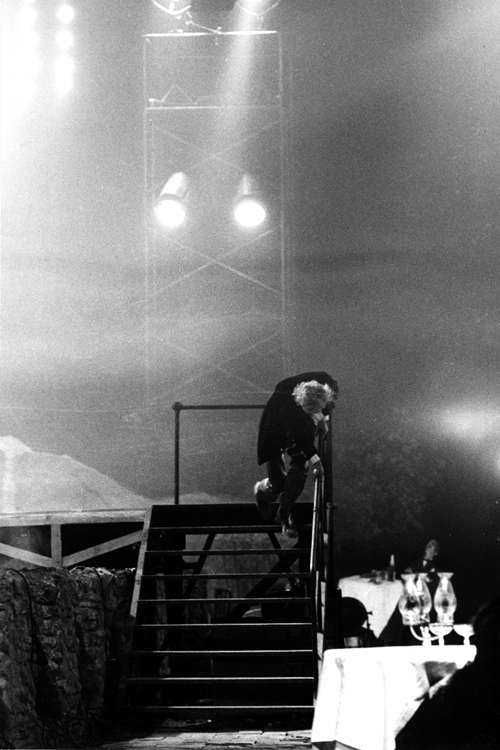 Federico Fellini on the set of Toby Dammit, based on a short story by Edgar Allan Poe, the director's contribution to Spirits of the Dead. Photo by Tazio Secchiaroli. 1968. Federico Fellini and Anne Tonietti on the set of Toby Dammit, based on a short story by Edgar Allan Poe, the director's contribution to Spirits of the Dead. Photo by Tazio Secchiaroli. 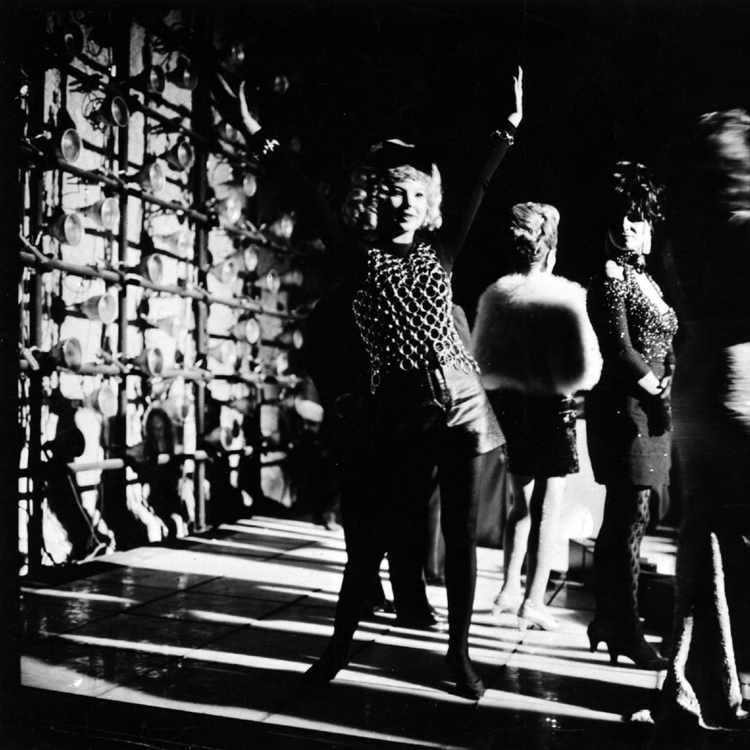 If it weren’t for Fellini, I might have remained a paparazzo. 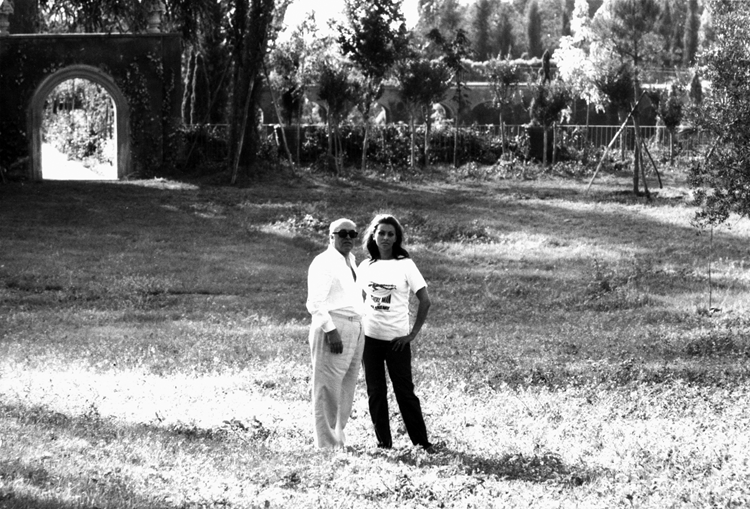 He opened the doors of Cinecittà to me, but more than that, he showed me things I never would have understood on my own. 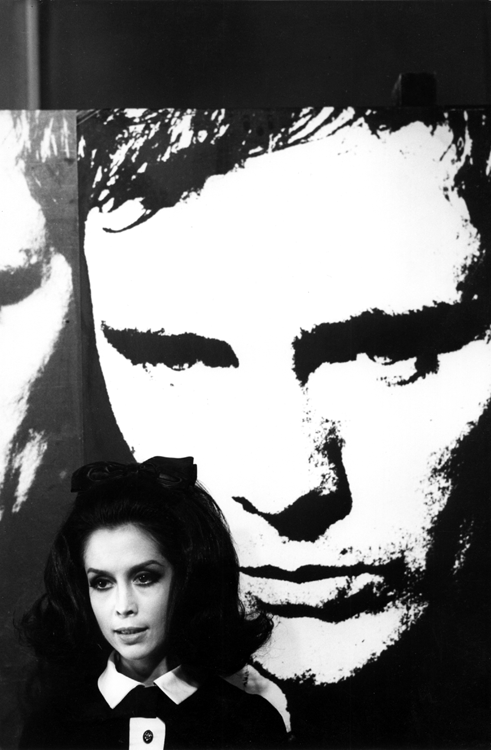 Watching him, I learned to see the world in a disenchanted and slightly amused way. It was as if I had taken a load off my shoulders, or rather, off my brain. 1965. 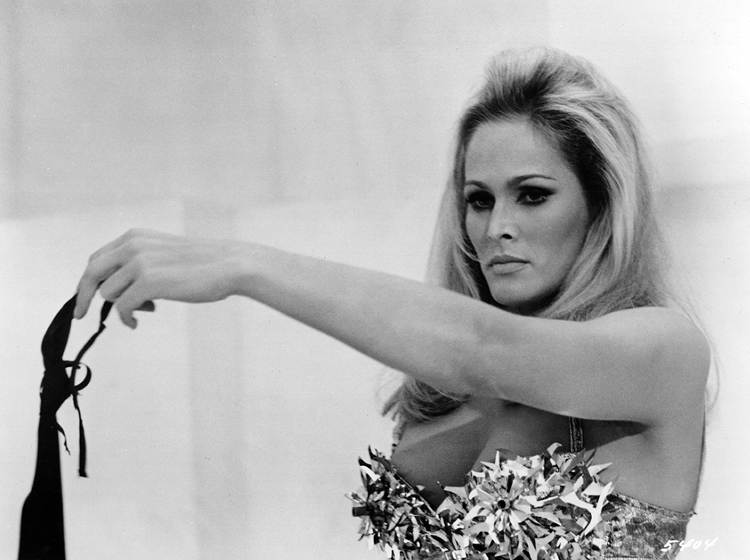 Ursula Andress preparing for a scene in Elio Petri's sci-fi fashion thriller, The 10th Victim. Photo by Tazio Secchiaroli. 1965. Ursula Andress as Caroline Meredith in a scene from Elio Petri's sci-fi fashion thriller, The 10th Victim. Photo by Tazio Secchiaroli. 1965. Elsa Martinelli as Olga in Elio Petri's sci-fi fashion thriller, The 10th Victim. Photo by Tazio Secchiaroli. 1965. 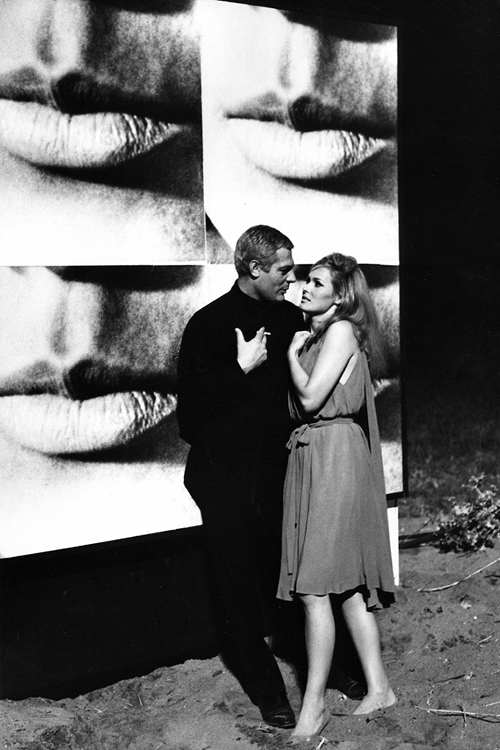 Marcello Mastroianni and Ursula Andress in a scene from Elio Petri's sci-fi fashion thriller, The 10th Victim. Photo by Tazio Secchiaroli. 1965. Marcello Mastroianni and Ursula Andress filming a scene for Elio Petri's sci-fi fashion thriller, The 10th Victim. Photo by Tazio Secchiaroli. Tazio Secchiaroli also works with other directors including Pier Paolo Pasolini, Michelangelo Antonioni and Elio Petri (only two of the photos here from The 10th Victim have the photographer’s stamp; the others are attributed to him). I trusted Tazio Secchiaroli – my invaluable photographer – with my life. He was completely free to do as he pleased because I was sure he’d do the right thing. Marcello [Mastroianni] was a friend of his and had recommended him to me, and I’d gotten along with him right from the start. 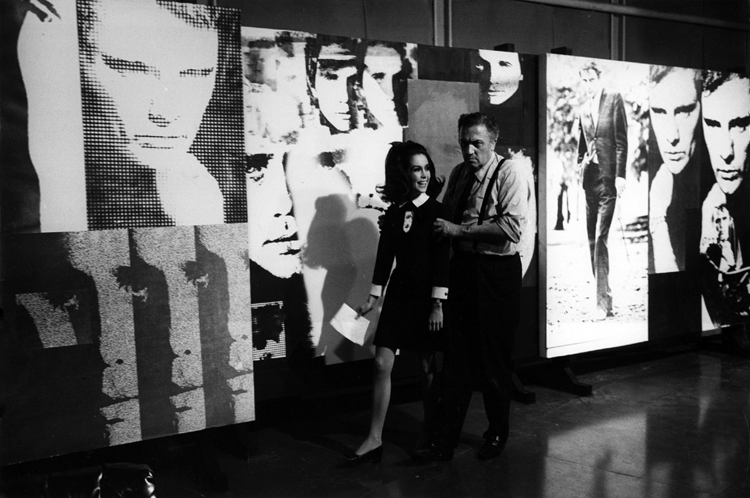 Fellini adored him as well, and they often worked together. He’d been the first to immortalize the nightlife of via Veneto, inspired not just the character of the paparazzo in La Dolce Vita, but by the whole atmosphere of the movie. He became like family to me, accompanying me all over the world, from set to set, and from event to event. 1967. 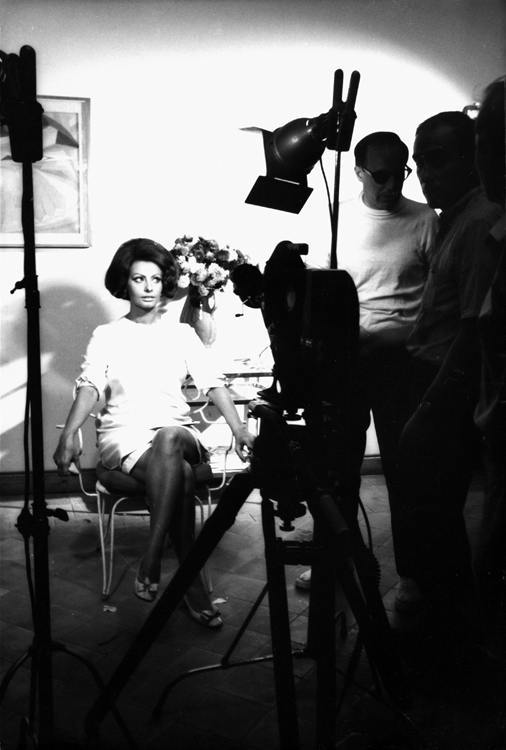 Sophia Loren being photographed. Photo by Tazio Secchiaroli. 1967. 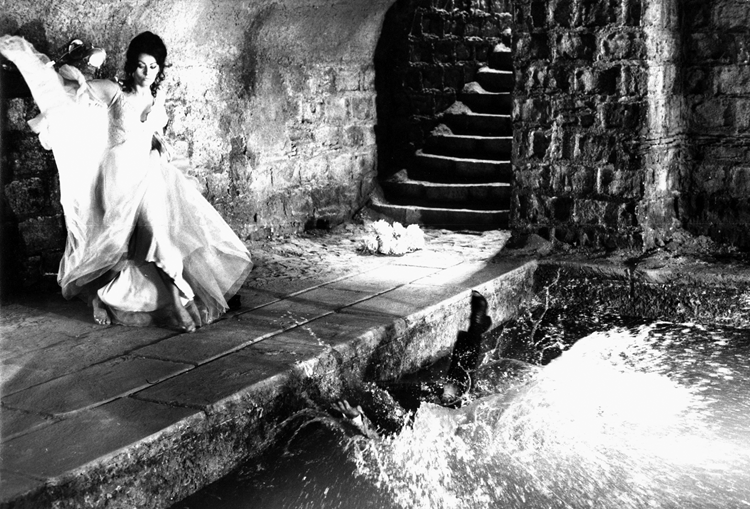 Sophia Loren as Maria Lojacono in Ghosts, Italian Style. Photo by Tazio Secchiaroli. Around 1970. Sophia Loren at a garden party. Photo by Tazio Secchiaroli. Beneath an apparently cold and inattentive expression, Tazio has the instinct and controlled aggressiveness of the true photographer, one who will take a hundred or even a thousand shots until he is sure that he has got exactly the one he was looking for. Above all, Tazio has one great talent: he never pesters you, he will not confuse you with suggestions, he never tries out sterile experiments. Like a good hunting dog (I hope Tazio will forgive the analogy, but I do love dogs), he does not run or jump without reason. With all his senses on the alert, he waits patiently for the precise instant, however fleeting it may be, to seize the picture and freeze it forever on his film. 1967. Sophia Loren and Carlo Ponti outdoors. Photo by Tazio Secchiaroli. 1967. 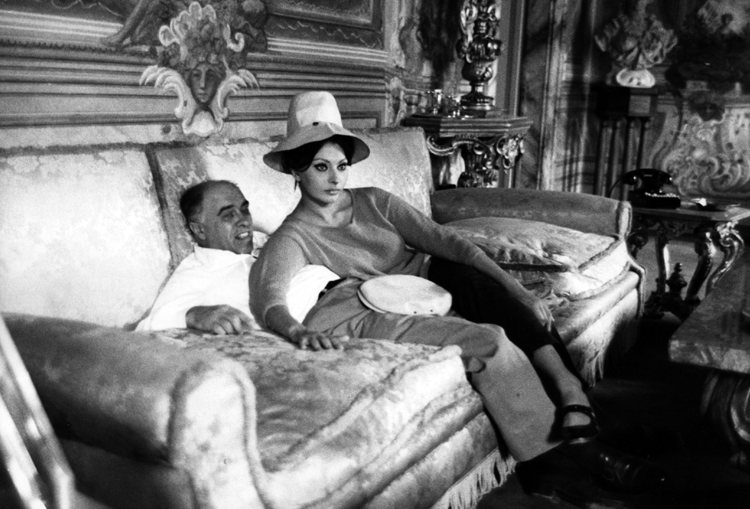 Sophia Loren and Carlo Ponti relaxing on a sofa. Photo by Tazio Secchiaroli. 1967. 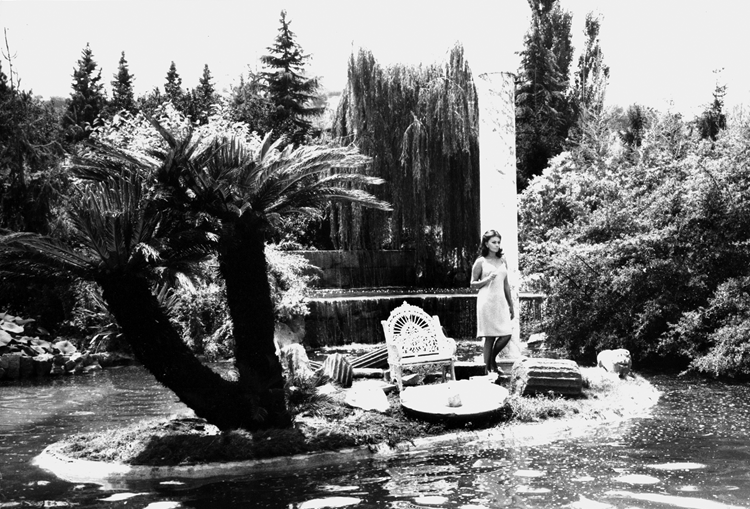 Sophia Loren in an exotic garden. Photo by Tazio Secchiaroli. 1967. 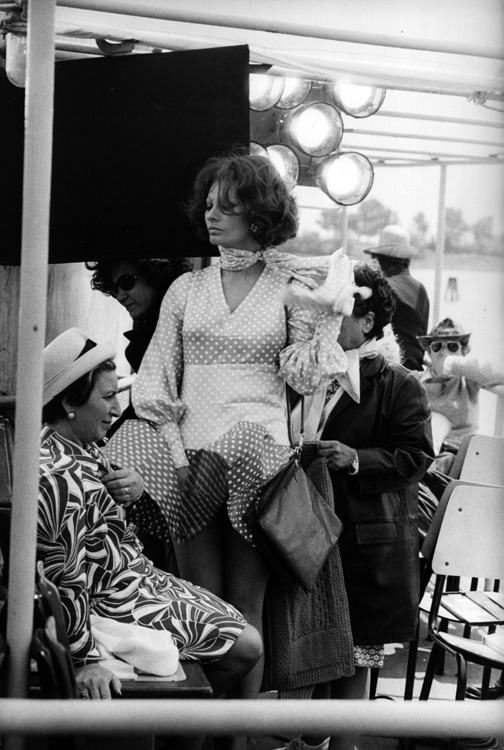 Sophia Loren filming More Than a Miracle. Photo by Tazio Secchiaroli. 1964. 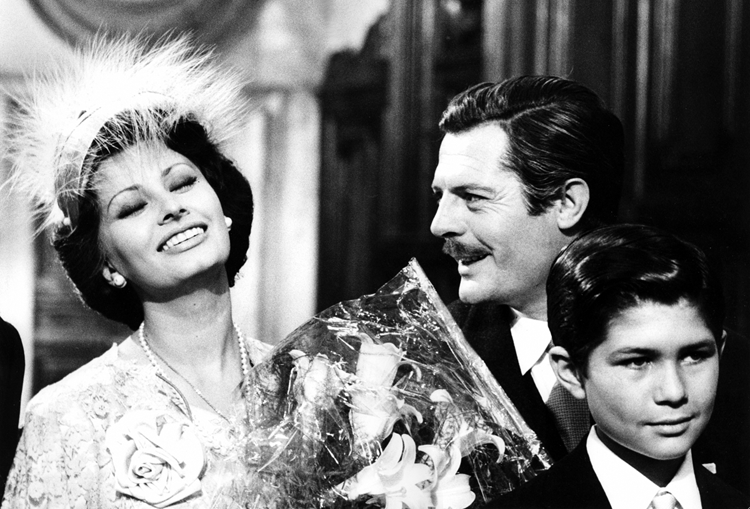 Sophia Loren and Marcello Mastroianni in Marriage Italian-Style. Photo by Tazio Secchiaroli. With la Loren, I really understood what light is. Few people have as good a sense as she does of this basic, incorporeal thing. But that’s not all. La Loren is one of the greatest people I have ever known. Beneath the diva is a simple, generous woman who, out of her great sense of fairness, detests cynicism, slyness, and arrogance. Because photography, like any art, requires a great deal of energy. In 1983, I felt that this energy was exhausted. So I decided to quit. Want to know more about Tazio Secchiaroli? Tazio Secchiaroli’s website (written in Italian). The New York Times obituary, written by Sarah Boxer – Tazio Secchiaroli, the Model for ‘Paparazzo,’ Dies at 73. An article in The Herald – We got even, says the original paparazzo.